He said no one would believe me. He threatened me in the most frightening ways if I told. It’s not that I wasn’t brave. Looking back, I was incredibly brave and I’m proud of the little girl I was. I fought him. I kicked and struggled. I stubbornly said no. I bit where it hurt him most. I tried to escape. But he was a grown man and I was a little girl. His sexual abuse of me lasted for years. It finally stopped when I was about eight years old, I think because I’d become not worth the trouble my resistance caused, not worth the risk of discovery if I couldn’t be controlled. He could find other victims. I told no one. My parents, who didn’t see this happening, created a loving, safe home for which I am eternally grateful–a safe home that helped me block out the trauma and grow into an accomplished, respected student and young adult. I became a student leader in high school, university, and graduate school. I graduated with honors from Harvard Divinity School and later earned a Doctor of Ministry. Still, I told no one. After graduate school I became an accomplished Presbyterian minister and a leader in The Presbyterian Church (U.S.A.). I became known as poised, assertive, powerful, and a force to be reckoned with. I’m an excellent preacher and teacher. For decades, I’ve been known as an advocate for children, for the poor, the abused, the immigrant, the oppressed, the voiceless and the powerless. I’ve led workshops on the prevention of sexual misconduct in the church and the prevention of domestic violence in society. Still, I told no one. While standing up for others, I rarely stood up for myself. In hindsight, I think standing up for myself would have stirred buried memories of trying to fight off my perpetrator, and I wasn’t ready to do that until I’d put an entire continent between us and found a therapist I could trust. I understand why Christine Blasey Ford moved across the country and created a new life. After all, my perpetrator said he’d kill me. He said he’d kill my family and he told me how. He said what would happen to me if I told was so bad that if I ever thought of telling, I should kill myself instead. So, I didn’t tell anyone. In spite of that, from the other side of the continent four decades after the abuse began, I finally told. I told a therapist who helped me through the journey of recovery. My husband and good friends believed me and stood with me. I didn’t expect what happened after I told: that I felt progressively more free, more creative, more able to access my intellect, more willing to stand up for myself, more confident and comfortable in my skin. Freedom is an awesome experience that feels like stepping from darkness into light, like moving from a cave I didn’t know I was in into the open air. I became more free, creative, and confident than I remember ever feeling before. In 2000, a year after I began to tell my story to my therapist and my husband, I preached a sermon on forgiveness. In it, I made a glancing reference to being a survivor of sexual assault. Afterward, women and men in the congregation who were also survivors spoke with me about their experiences. Others congregants pulled back from me, their decreased respect and projected shame palpable. A fellow survivor of the same perpetrator was furious I’d broken silence. The sermon was copied, emailed, and passed along to other survivors by their friends, family, and therapists. Some still stay in touch to let me know how their life is unfolding. I’m glad I preached that sermon. When I was a young teenager, my older brother raped me in our basement. I was so ashamed, I didn’t tell anyone. Finally, years later, I told a psychologist. He said it was my fault and never to tell anyone again. I never did. Until tonight. Thank you. What pain. Over 60 years of silence. For the rest of her life, our shared experience was a bond between us. I held it in my heart when I conducted her funeral. Gone many years, now, she remains a treasured part of my life. I seldom speak of my identity as a survivor. Those who know, know. I reference it when appropriate. I let it inform my interactions and writing. I know to avoid triggers of lingering PTSD. I continue my commitment to bring as much good into the world and redemption from my sexual abuse as possible. I preach and write about hope. I still believe in the triumph of good over evil, truth over lies, and life over death. Survivors of sexual assault are our sisters and brothers, wives and husbands, mothers and daughters, teachers, preachers, grocery cashiers, elected officials, and neighbors. There are good reasons they didn’t report. Let’s make the future different for survivors beginning now. will find it helpful in healing. Please feel free to forward it. The kingdom of the heavens is like a man, a king, who wanted to settle accounts with his agents. The first one brought before him owed ten billion dollars. Because he didn’t have enough to pay, the boss ordered him to be sold, along with his wife and children and everything he possessed, so as to collect. Falling down before him, the agent said, “Hold off, and I’ll pay you everything.” Filled with pity, the boss let that agent go and forgave his debt. But going out, the agent found one of his fellow agents who owed him a thousand dollars and, grabbing him by the throat, said, “Pay up what you owe!” Falling down before him, his fellow agent said, “Hold off, and I’ll pay you everything.” But, he wasn’t interested; he had him thrown into prison until the whole debt could be paid. Other agents, seeing what had happened, were upset. Going to the boss, they told him about everything that had happened. Calling in the agent, his boss said to him, “You wicked agent, I forgave all you owed when you pleaded with me. Should not you have been moved to take pity on your fellow agent as I pitied you?” Furious, the boss handed him over to torturers until he paid him back everything he owed. Forgiveness is evidently not only a confusing issue for 21st century folk but seems to have been confusing for Matthew as well. Peter has just supposedly asked Jesus how many times he has to forgive someone who has wronged him, and Jesus has said not seven times, but seventy times seven, a Jewish way of saying “infinity.” Then he tells a parable that seems to compare God with a short-fused boss who generously and extravagantly forgives a man, but at the man’s first mistake afterward, turns him over to be tortured for the rest of his life. Matthew adds a postscript for our benefit: “The same thing will happen to you, if you don’t forgive others from your heart as God has forgiven you.” Matthew’s comment is more likely to make me try to forgive from fear than from my heart. This is a parable about abundant grace and our response of gratitude–not about fear. I’m not actually certain that Matthew really understood what Jesus was trying to say. These are legitimate concerns–we experience them every day–but Jesus’ answer addresses neither of them. Both have been dealt with in the preceding paragraph in the Gospel of Matthew which encourages confrontation and consequences for offenses that threaten Christian fellowship. Some actions are not to be tolerated in Christian community and it is the responsibility of individual Christians and the church to deal forthrightly and openly with them, establishing consequences if repentance does not occur, says Jesus clearly. This parable deals with different issues related to forgiveness. First, let’s remember that there is nothing particularly Christian about the practice of forgiveness. Whatever our religion or nonreligion, we must request and grant forgiveness almost every day of our lives. Most transgressions are trivial and unintentional–garden variety, I call them. We forget to pick up milk at the grocery or speak an overly harsh word to someone who then feels hurt by the encounter, or someone cuts us off at the exit ramp. These are ordinary consequences of being human and imperfect. Human community, and Christian community, requires the constant lubrication of forgiveness and an attitude of grace towards one another’s imperfections or differences. How many times are we to forgive one another for such mistakes? Now we come to the particularly Christian dimension. We are to forgive an infinite number of times someone who has repented, for we have been given and forgiven by God more than our imagination can even hold. As with the agent who owed an absurdly large debt, we too, are in our Creator’s debt beyond any human ability to repay. Did we create the mountain peaks or the stars at night or the water that makes our life possible? Was it through our own devices that we were born into a particular nation or race or family or status? Are we responsible for the wisdom and grace and love and strength and peace we receive that is beyond our own? And what about the sins we commit every day, small and large, realized and not which we are forgiven in Christ each day? There is another dimension of life where forgiveness becomes more problematic, however. I mean those times when the injury is caused intentionally or is repeated or malicious or abusive or violent. Must Jews forgive the death camp guards? Must Palestinians forgive Jews? And Croats the Serbs? Must African Americans and Latinos unjustly imprisoned forgive the officers and courts who put them there? Must women and children who are physically abused or sexually molested forgive those who heap such injury upon their body and soul? Are we to hold this parable over the heads of such survivors and tell them Jesus says they must forgive, or God will torture them forever? In spite of what the parable appears to say, I’m convinced that the answer is NO. I want us to be careful here, because the misuse of this parable can cause great damage to our sisters and brothers who have already been victims of evil and need now not to be victimized by the church. This gets a little complex, but bear with me, please. We’re going to talk about power. Power relationships between people or groups can be equal or unequal. When power relationships are equal, as they are supposed to be in the church and in marriages, scripture is clear: if the other person repents, we are to forgive freely and infinitely. But when the power relationship is not equal, when one party holds more power than the other, when there is a hierarchy of power in place, the biblical injunction is different. Nowhere does the Bible say, either Old Testament or New, that people of lesser power are, themselves, to forgive a person of greater power who has caused them injury. Let me say that again: Nowhere does the Bible say that people of lesser power are, themselves, to forgive a person of greater power who has caused them injury. The first century Mediterranean world was a hierarchical society. Jesus addressed people up and down the hierarchy, and we know the church always included people of all levels, free and slave, rich and poor, landowner and tenant. The primary word used in the New Testament for forgiveness, which is the word used in today’s texts, comes from the commercial world and has the implication of a more powerful being, whether God or a person, releasing another from a debt or an obligation or a penalty. To be indebted in a commercial transaction is to be in the inferior position; the creditor is always in the position of power. Thus, the hierarchy of forgiveness that Jesus and scripture present us, is that we forgive those over whom we have power. Therefore, we can ask God, who has infinite power, to forgive us. Forgiveness flows down, from the more powerful to the less powerful. It does not flow up, form the vulnerable to those who hold power over them, for that would too often perpetuate patterns of injustice, injury and evil. Jesus’ parable of a king and his servants could not be more hierarchical. Again, forgiveness comes down from the most powerful to the least powerful–and Jesus is clear: if one chooses to accept the gift of forgiveness, “that choice must govern those situations from which one benefits as well as those where own’s own debt is insurmountable.” (Ringe, 1985, 95) Read the parable carefully, the progression of forgiveness does not move up the structure of power from the lowest agent to the middle and then to the king, but only down, from the king. I recently began a life journey I never expected to take, one that is massively difficult, but one through which I hope to emerge, with God’s help, stronger, freer to use the gifts God has given me, and more able to enjoy the fullness of life God intends for us. I have become intimately acquainted with the first steps of what is involved when a 40-something woman realizes that she was repeatedly and violently molested by an uncle before she ever reached kindergarten. So,this morning as I preach, I have in the back of my mind not only the Jews and Palestinians and Serbs and Croats who struggle with centuries old dilemmas of whether or not to forgive each other and move on, not only the citizens of South Africa who seek to find a way out of the horror of Apartheid, but also the anguish this woman is going through and the agony beyond words she and others like her endured as a little girl. I could not look that little girl in the eye in the mirror if I preached merely garden-variety forgiveness, nor could I have her think that she would be cast out of God’s love if she is not able to forgive her uncle. Let me say something, therefore, of what I believe forgiveness is and is not in the context of our own homes, and our communities and parts of the world beyond our national boundaries. Forgiveness is not condoning or pardoning harmful behavior, which is a sin. Forgiveness is not healing the wound lightly, saying “peace, peace” when there is no peace. Forgiveness is not always possible. Forgiveness is not an expectation of any degree of future relationship with the person who caused the harm. Forgiveness is letting go so that the immediacy of the painful memories can be put into perspective. Forgiveness is possible in a context of justice-making and the healing presence of the Holy Spirit. Forgiveness is God’s gift, for the purpose of healing, to those who have been harmed. Accountability is God’s gift for the purpose of repentance and fundamental change to those who have harmed another. I find great peace in Jesus’ final words from the cross as reported in the Gospel of Luke: “Father, forgive them, for they know not what they do.” Even though the words obviously ask God to forgive those putting Jesus to death, I had always assumed that Jesus had forgiven them too. But if we remember what I just said about power relationships, Jesus was not in a position to forgive those who had put him to death. He had given up his power and become powerless. It was beyond his means to forgive those who had crucified him. Jesus did not forgive his murderers. He asked God to attend to this. If anyone could have forgiven those who wreaked evil upon him, we would expect it to be Jesus. But in his powerlessness and vulnerability, Jesus could not forgive. And he does not ask us to do so either in such a circumstance. Which brings me to the final issue of what happens to our soul when we forgive or do not forgive. First, all of us are, no matter our age, race or economic status, in positions of greater power in relation to some people and lesser in relation to others. And all of us live in the grace of a God who has erased our debt to the One who is our Creator, Redeemer and Sustainer. Such amazing grace, love and forgiveness open our hearts wide to respond with similar grace, love and forgiveness to our brothers and sisters. When we do so, our sense of gratitude and love multiplies even further, and the Spirit of God smiles. In those circumstances when the injury is so raw, or the injustice so imbedded, or the evil so great that we are not able ourselves to forgive, we can, as did Jesus, find some degree of peace by asking God to attend to this, for we know that injury leaves poison behind which, if allowed to fester destroys the soul. In such places, at such times, we remember that even the ability to forgive is a gift from God we cannot force any more than we can force an apple to ripen. We work the process, we water the soil, we pray for a good harvest, and when eventually it comes, we give thanks to God for the gift that was previously unimaginable. Thanks be to God for all God’s gifts to us, through Jesus Christ our Rock and our Redeemer, this day and always. Amen. This entry was posted in Life in General and tagged #WhyIDidn'tReport, depression, Kavanaugh, mental-health, Sexual Abuse, Supreme Court, Survivors on September 26, 2018 by Barbara Anderson. I feel like a balsa airplane whose rubber band releases too soon. 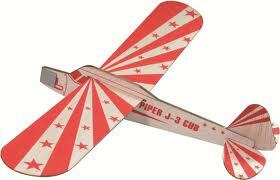 I keep going p-p-p-p-p instead of z-o-o-m.
Balsa planes are low-tech—no engines, batteries, or even glue. They have two pieces of wood for the body and wings, a plastic propeller, and a rubber band for power. I used to play with these for hours. To make them fly, you hold the plane with one hand and rotate the propeller with the other until the rubber band is wound as tightly as possible. If you do it right, the plane can zoom above trees and land in a neighboring yard. If your finger slips off the propeller too soon, however, the rubber band unwinds and you have to start over. The plane goes p-p-p-p-p. It sits forlornly in your hand or plops to the ground. Right now, I feel like I’m more p-p-p-p-p than zoom. I get motivated and wind my rubber band for the next flight. Then I lose momentum and go plop. One year ago, I looked for a new direction in life by starting this blog. I was passionate about my new direction, my learning curve, and my writing. I started to fly. In January, my health went down the drain and I took a break from the blog. Then I wound up the rubber band and got myself flying again. By late spring, I realized that getting strong enough to enjoy my son’s wedding and manage the 500 details related to it would take all the energy I had, so I again set aside my blog. Afterwards, I focused on recovery. Done, done, and done. Zoom in life, p-p-p-p on the blog! Now I’m winding up the rubber band again. Half the time, though, my drive goes p-p-p-p-p instead of zoom. It’s hard to get restarted. No matter how many times you successfully fly the plane, your finger will slip off the propeller from time to time and the rubber band unwind. After every successful flight, you have to wind up the propeller again. The thrill of the flight is worth the effort, no matter how many times you have to start over. Learning: Pick up your plane and start again. Flying feels great. This entry was posted in Coping, Life in General, Resilience and tagged congestive heart failure, depression, Disability, hope, perseverance, personal change, professional growth, unemployment on July 21, 2011 by Barbara Anderson. When I’m sick or blue, I want my mommy’s chicken soup. She’s 84 and lives on the other side of the country. But still, “Just get on a plane, Mom, and fly here with a plastic tub of chicken soup. I need you!” I want the comfort of those soft, squishy noodles, slightly firm carrots and nicely murky broth that always has a little chicken fat in it. Like lots of people, it’s easy for me to feel irritable, abandoned and offended when I’m sick. I put great expectations on others. Many of us find it easy to feel abandoned and unloved no matter how much others are present for and with us. We know they have a job, but why can’t they be with us all day, anyway? We know they have their own families to take care of and chores to do, but certainly those can all wait. I’ve worked hard to recognize this dynamic in my life and change it (for which my family and friends are grateful), but like a spot on a favorite dress, it hasn’t gone away. I have learned that when I can sort out reality from my perception of it, people have been there for me much more than I thought. When I let myself recognize the care people are giving me, it’s really wonderful. Feeling heard and seen by another, that care has been given, and that I’ve let myself receive and acknowledge it is marvelous—especially when doing so is such an achievement! If this pattern fits you, it’s worth working on it. Life will be much more pleasant whether you have a chronic illness or only get sick once each decade. I’m grateful for the people who, when I’ve been ill, stepped forward and walked with me on the journey. They brought lunch to share on the patio and gave me healthy tea varieties to drink. They offered help without being intrusive. They walked at my speed through The Huntington Gardens and took me shopping so I didn’t have to use my energy for driving. They sent notes and cards that I keep in a basket and re-read. Because of them I have a sense of the greater community in which I am held and remembered. If you know someone whose abilities are a bit limited right now and you haven’t known how to be helpful, try one of these ideas. They mean a lot. Others have boundaries on what they can do or bear, just as I do, and we need to give each other the grace to accept those limits and boundaries, even if it’s sometimes painful. boundaries don’t mean that one person doesn’t care about the other. It means each one is also caring for him/herself, and that’s completely appropriate. If you’re the one who feels guilty about not doing as much for others as you’d like to, give yourself the grace to accept your own limitations. Only God’s energy, time, and capacity to bear sorrow are limitless, ours are not. If you’re one who wants to receive more from others, sort out what’s realistic, and forgive others their need for self-care. It’s an appropriate gift of grace to do so. When I live this way, I’m grateful for what I receive from others, for the times we laugh and the sudden insights we share, for that which I am able to give to and do for others, and for our willingness to let each other be who we are. Life is good this way. Learnings: (1) Recognize that others may already be giving you more than you realize they are. (2) Receive what others are giving and be grateful. (3) Give yourself the grace of recognizing your own limits. God loves you in your humanity. This entry was posted in Life in General and tagged congestive heart failure, depression, hope, perseverance on October 26, 2010 by Barbara Anderson.